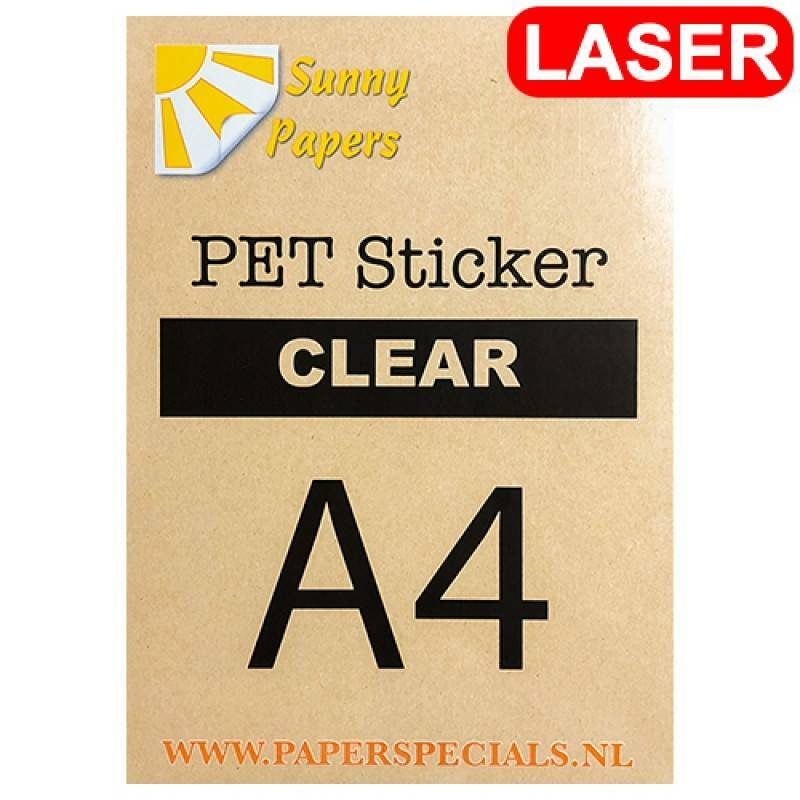 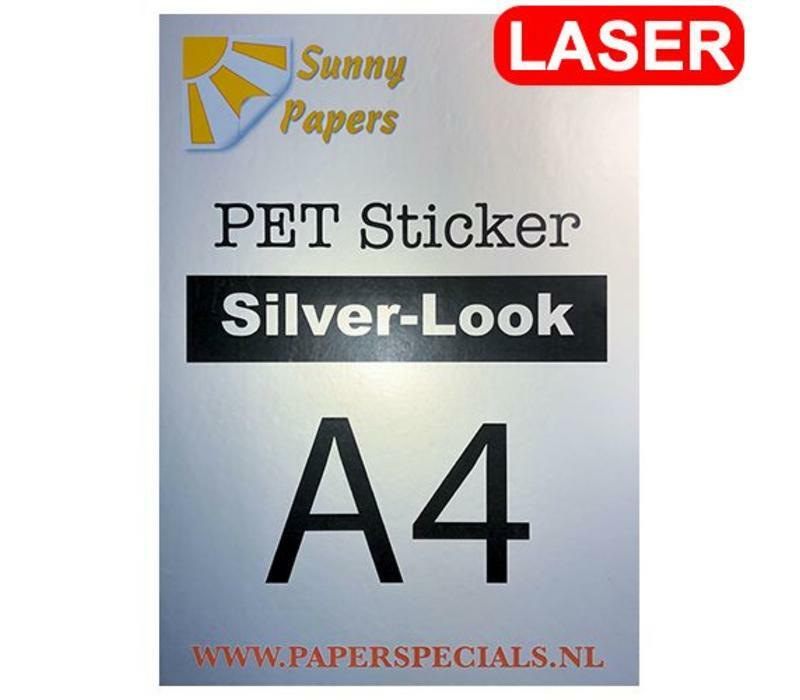 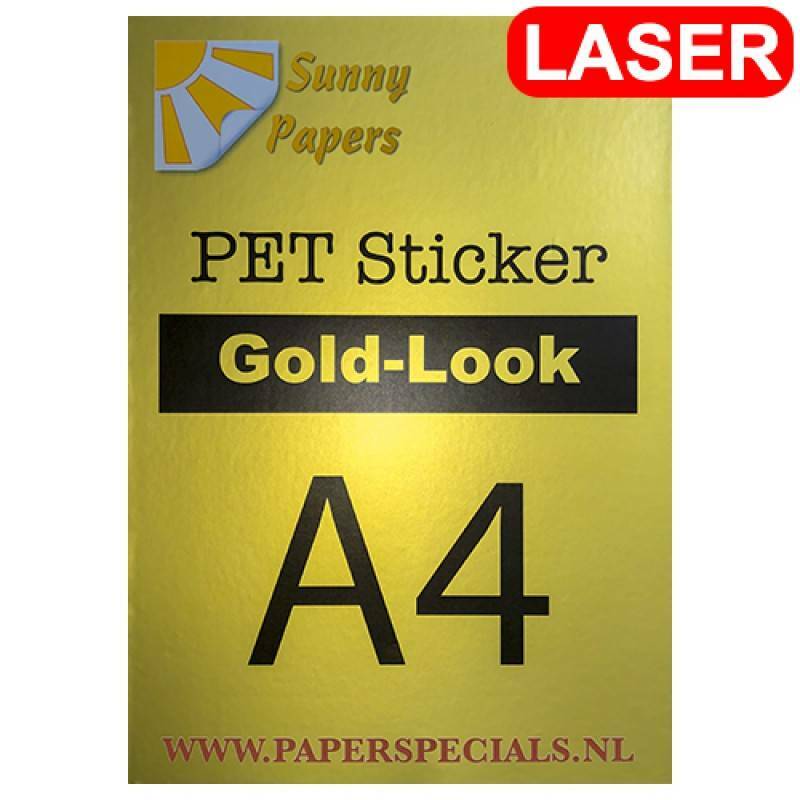 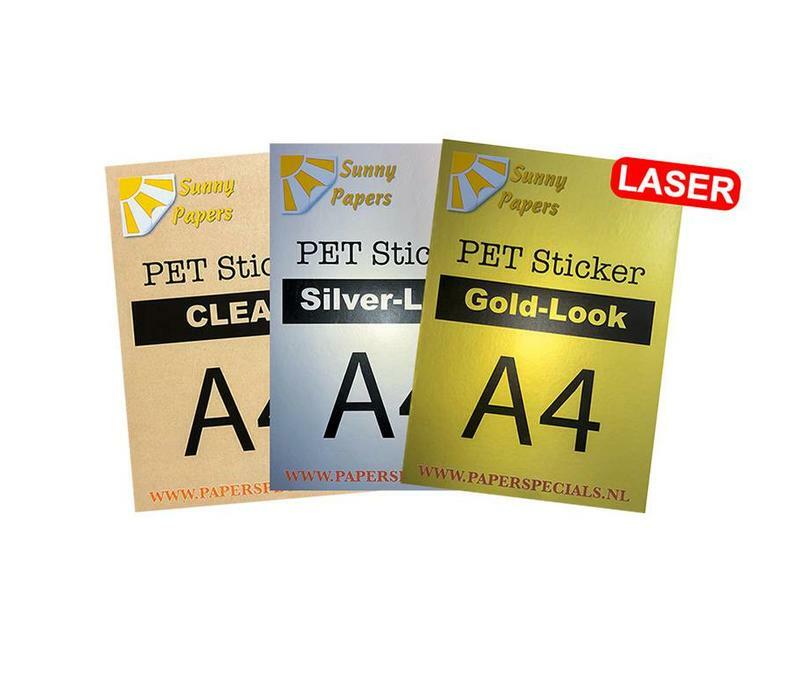 Sunny PET Laser sticker is a glossy waterproof and permanent adhesive sticker material. 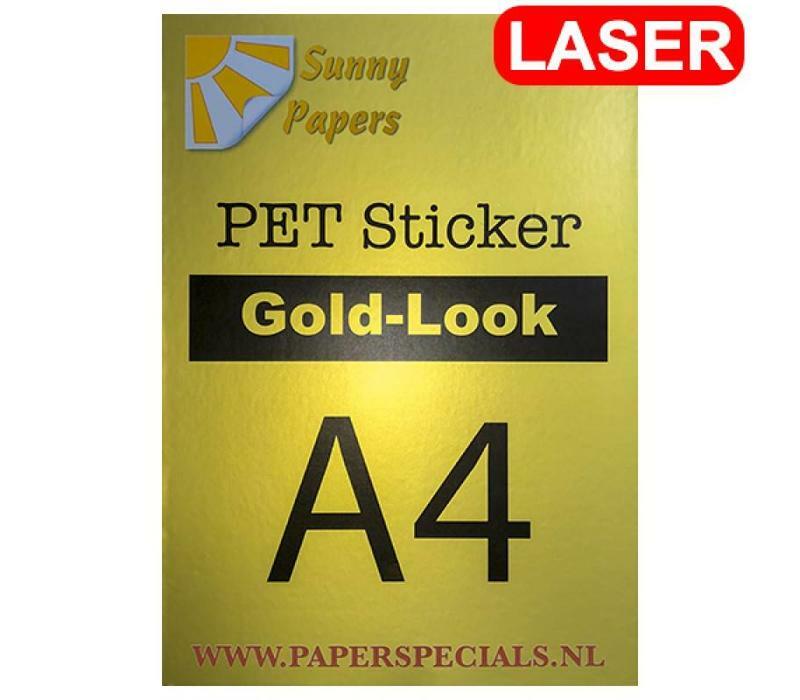 It's a pretty unique product because it is quite thin but with a very powerful bonding. 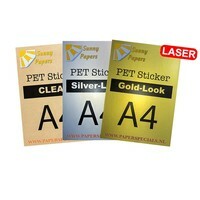 It can be print on the settings for glossy photo paper with the higest quality. 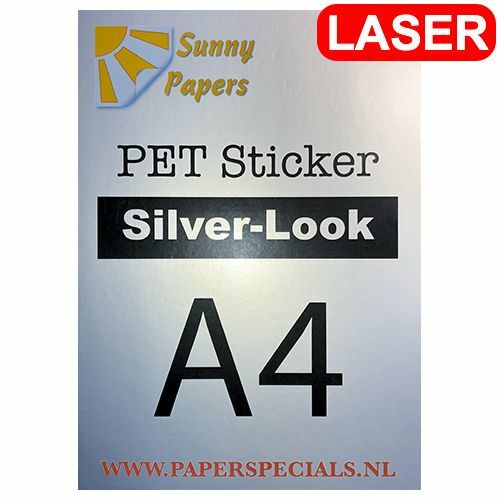 You can use it on almost all smooth, dust and grease free surfaces. 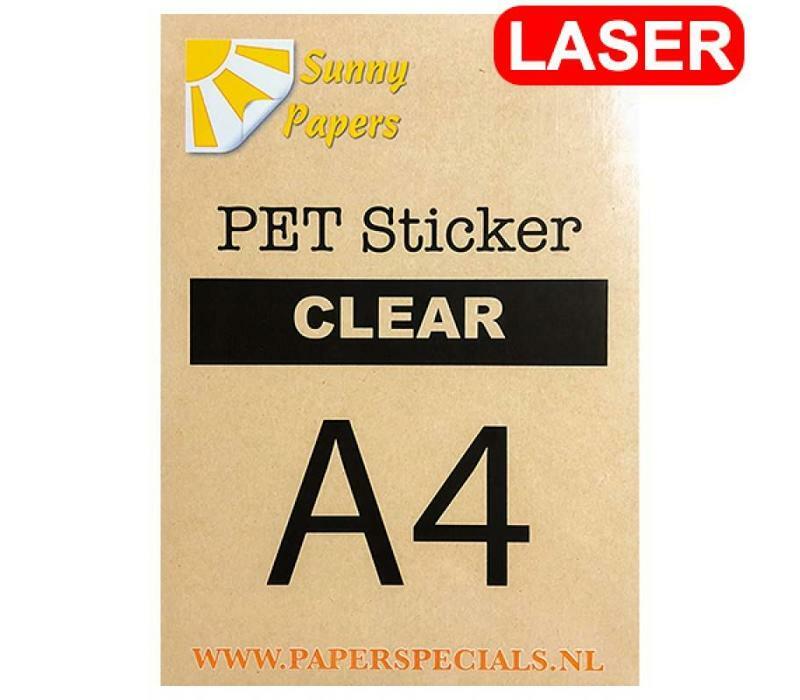 The adhesive is waterproof but the print itself is not, Therefor it's recommended to varnish your print or to cover it with a protective film. 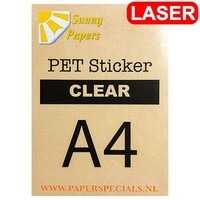 When used outdoors Uv protections is needed. 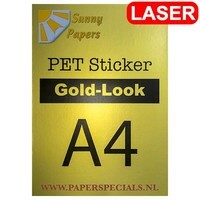 Wind an hail can damage the sticker. 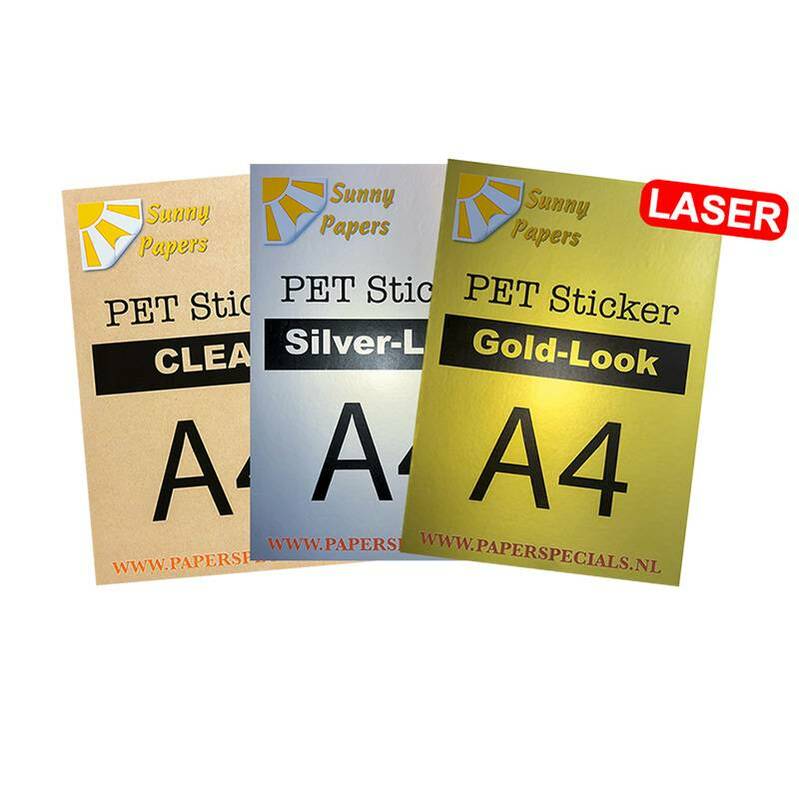 Sunny PET stickers are thinner than most vinyl and PVC stickers. 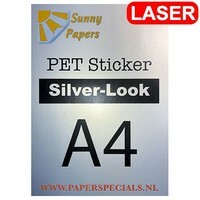 It can easily and neatly plotted out, first test for the correct settings.